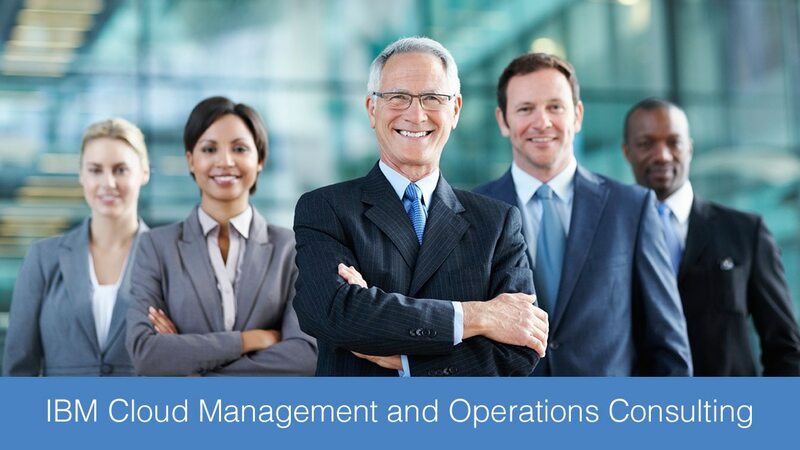 IBM® Cloud Management and Operations Consulting services provides the help you need to transition to a hybrid cloud environment. Experienced IBM consultants can provide you with a workshop, roadmap assessment, business case creation, architecture design, implementation planning and integration assistance. These services use an IT-as-a-Service (ITaaS) model to help you improve operations and governance, reduce IT costs and understand your investment options. Let IBM consultants help you design a strategy that leverages the ITaaS operating model for enhanced agility and speed, and reduced operational risk. Implement, integrate and manage your hybrid environment with a proven methodology and deliverables with the help of experienced consultants. Implement technology solutions or managed services. It is your choice to use IBM Cloud’s full capabilities as well as third-party solutions to help protect your investments.